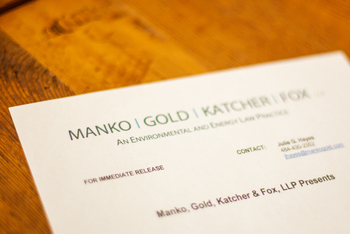 MGKF partners Michael M. Meloy, Jonathan E. Rinde and Todd D. Kantorczyk, will participate in the Oil & Gas Environmental Compliance Conference sponsored by the Air & Waste Management Association (A&WMA). The two-day conference will address multi-media topics such as air quality, water use and treatment, waste disposal, spill protection, local issues, and data management challenges throughout the shale plays in Pennsylvania, Ohio, West Virginia, and New York. Speakers will include regulatory authorities, industry environmental managers, environmental interest groups, and industry experts.